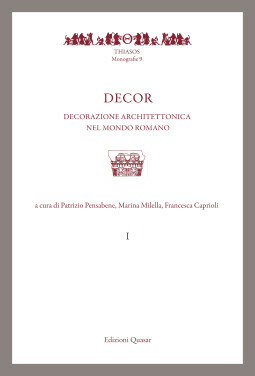 P. Pensabene, M. Milella, F. Caprioli (a cura di), Decor. 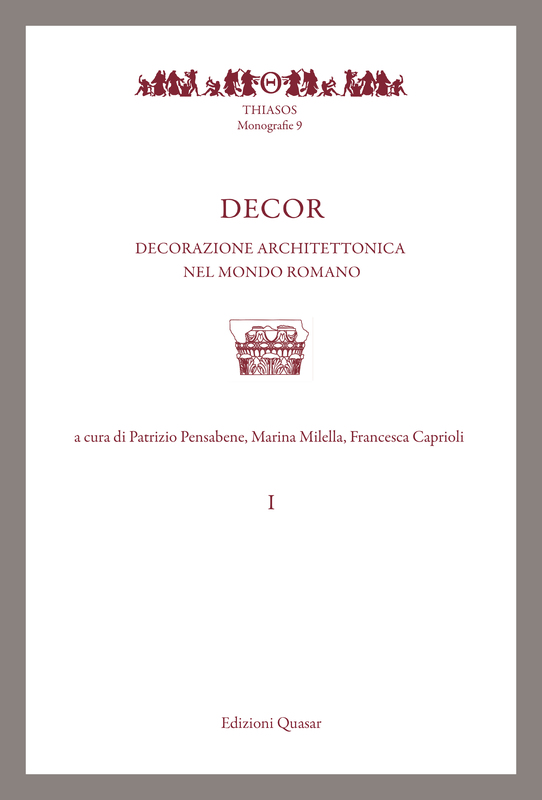 Decorazione e architettura nel mondo romano, Atti del Convegno, Roma 21-24 maggio 2014, Thiasos Monografie 9, Roma 2017, voll. I-II, pp. 934. The conference investigates the role that typological analysis can still play today, i.e. the use of research tools based on classifications in groups, sub-groups, types; it is clear that they can not be separated from stylistic observations, remembering what Bianchi Bandinelli said about how style and type contribute to generating the shape. Shape does not coincide with type or with style, but is the container that allows the meeting of these two factors. However, the formalistic vision inherited from the history of the art of the past century has been in progress for some time now, and new analytical tools have been introduced, such as the knowledge of materials and working techniques, the attention to the historical context and to the meaning of the meeting between the performer and the customer and consequently the iconographic meaning. To these elements another interpretation is added, that of visual language through the tools of semantics. The conference then investigates this complex situation by providing data on recent research on the topic.